All of our items are in stock, ready to ship immediately. The piece shown is the actual piece you receive. 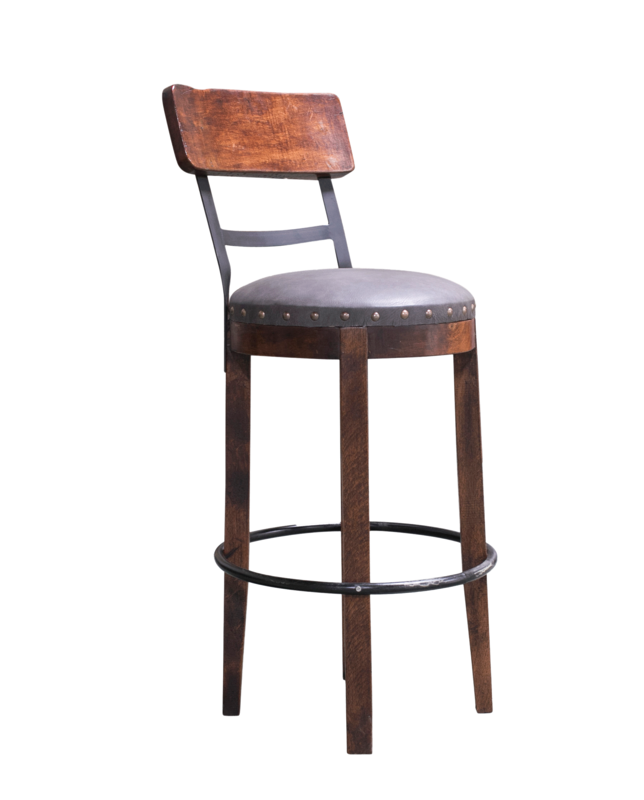 Anything that is part of your everyday life should be great, including your furniture and we craft ours with that in mind. We believe furniture should be an extension of yourself and your family, as it becomes an expressive part of your home. 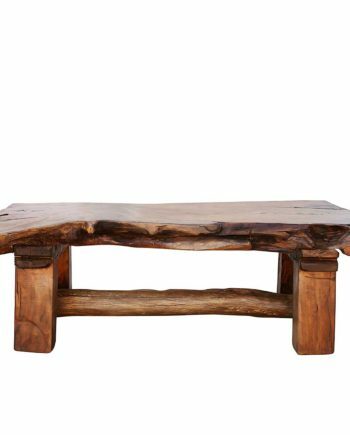 Crafted from solid mesquite wood, each of our pieces has their own unique knots, splits and imperfections that create eye-catching points of interest, making them all beautifully unique. The handpicked materials and masterful craftsmanship convey our love and passion for what we do. We tell our story and reveal our personalities through our craft in hopes it will evoke a feeling that you want to share in your life, throughout your home. Allow your furniture to be an extension of yourself and let us be inspired by the memories you look forward to creating with it in your home. 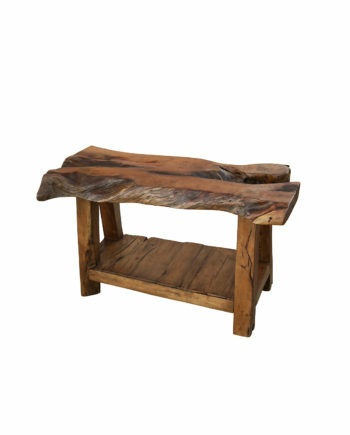 Our furniture is crafted from solid Mesquite wood – a quality wood that speaks for itself. 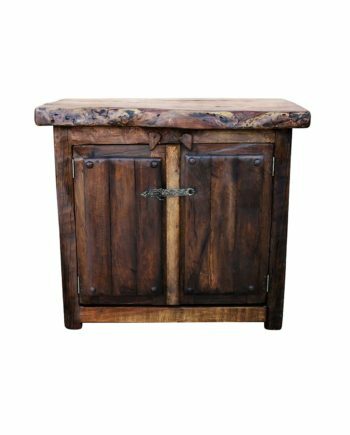 It is heavy and extremely hard with unique wood movement, making it a favorite among woodworkers for crafting quality, custom furniture. 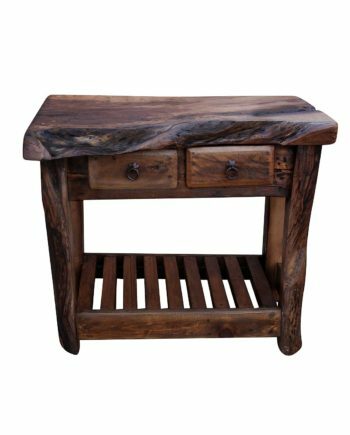 Its dark red and rich brown coloring, earthy grains, various knots, ridges, imperfections and irregular live edges, also make this wood a popular choice for creating rustic looking pieces. 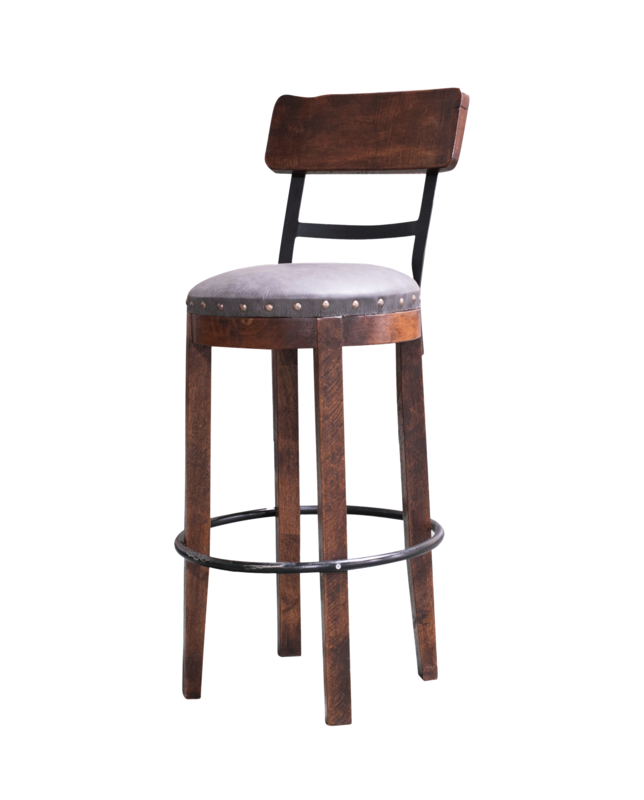 Our furniture is finished using a process that enhances the woods rich coloring and leaves a durable exterior helping to protect it from everyday wear or other damage that may occur. 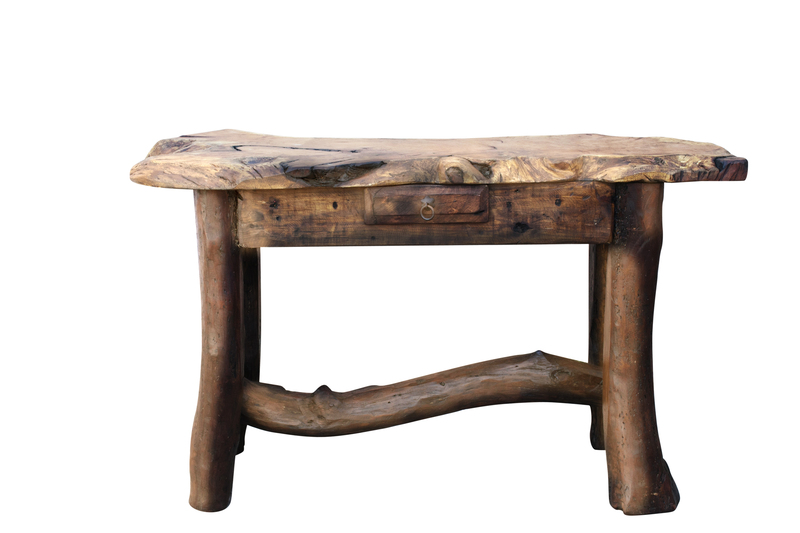 None of our pieces are exactly alike, thanks to the variances in the grain of wood that each is crafted from. 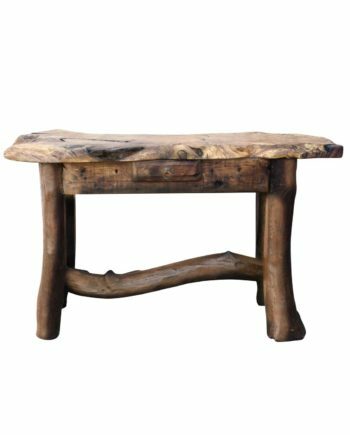 Featuring unique markings, natural lines, knots, coloring and other desirable flaws, the furniture you bring home, will be exclusively yours. 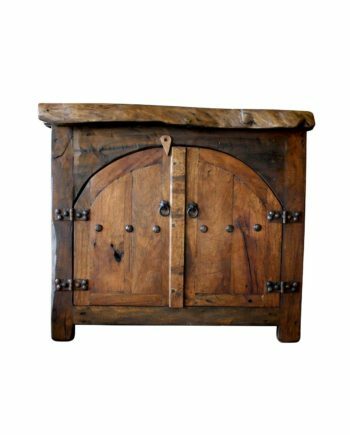 Some of our pieces incorporate salvaged door tops dating from centuries ago, providing an extra, unique feature for customers who are looking for something extra special and unique. Want exclusive updates and be the first in the know when new items arrive? Sign up for our emailing list and we’ll let you know as soon as a new product arrives so you can snag it before someone else does!